As a part of my series about “Mental Health Champions” helping to normalize the focus on mental wellness, I had the pleasure to interview Alexandra Allred. 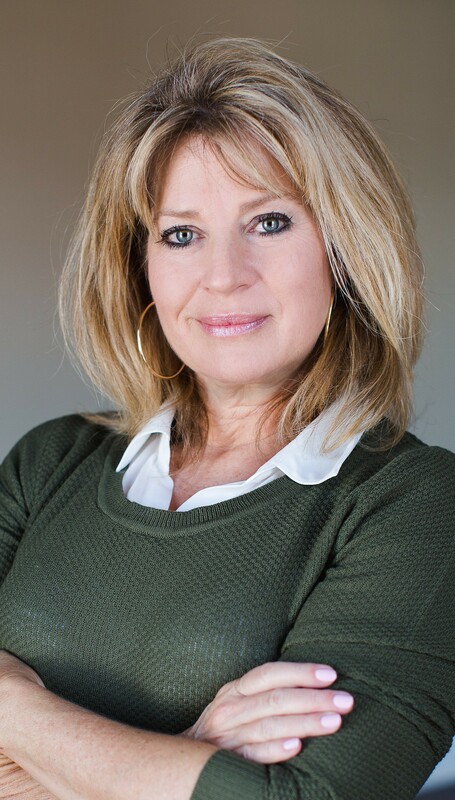 She is an adjunct professor at both Tarleton State University and Navarro College, teaching kinesiology lectures and classes, as well as leadership and success skills courses. Using her students and faculty, including the Occupational Therapy Department, Allred created an exercise and empowerment program for special needs that include those with a diagnosis of Down syndrome, cerebral palsy, autism, fetal alcohol syndrome, stroke, as we all other intellectual and/or developmental disabilities (ID/DD) who need a health/wellness overhaul but also need greater self-esteem and confidence building. Pas Fitness was created to spur on fitness, happiness and empowerment. 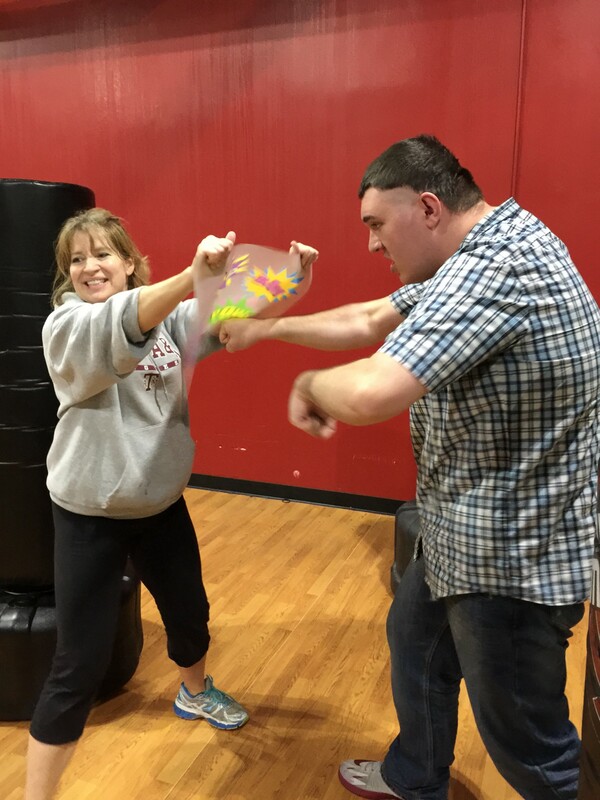 This 4th degree black belt retired from competitive fighting long ago but continues to offer free self-defense classes for women and health/wellness class for those living within the Special Needs world. Today, as she fights for her parents against Alzheimer’s and dementia, Operation Caregivers: #LifewithDementiais yet another battle to restore dignity for those who suffer from the disease and empowerment for their caregivers. Today, she also offers free fitness classes for those living with special needs as she believes EVERYONE deserves to be empowered! Imagine feeling a hopelessness and/or sadness that you cannot articulate because either you will not be heard or you truly do not know how to express your feelings. For those living within the special needs populations (SNP), depression has been considered a byproduct of whatever the actual diagnosis is and, therefore, ignored. In fact, it was not until the mid-1980s that many mental health experts began to explore the idea that someone with Down syndrome could be depressed. Repeating — no one thought that a person with Down syndrome could be cognitively aware enough to feel sadness. This, ladies and gentlemen, is so egregious, so unacceptable, I felt forced to step into a world I knew very little about. As an adjunct professor on the campus of Navarro College, I teach a college success skills/leadership class and kinesiology. In full disclosure, I once took a “happiness” test and narrowly edged out a four-month-old Labrador puppy on the happy scale. Both my mother and sister, who suffered from chronic depression, then quickly alerted me to the super-annoying scale. While I never understoodtheir depression growing up, I saw the pain and the suffering. Decades later, I was introduced to a group of special needs young adults “integrated” into the college scene. That was a joke. There was no integration, no mainstreaming. Rather, they moved in a mob, offering no eye-contact, no joy and zero confidence. While I knew very little about the special needs population, I knew from my mother and sister that no one should feel this way. I asked the dean of the college to allow this group into my Pilates 101 class with the idea of pairing each SNP student with a general population student. I’d hoped to generate more communication between the two populations and ever expected what actually happened. It would lead me to return to school to earn my Masters of Science, fight the fitness industry about proper terminology for my group, create new certifications to be able to properly and honorable train those who need specialized fitness, and restore dignity to an AWESOME population! I would argue these numbers straight away. With over 650 million people living with some kind of disability, including those with intellectual and/or developmental disabilities (ID/DD), how many are suffering but are not acknowledged because they simply have not expressed feelings of anxiety, depression or confusion because they do not have a voice? Or, because their primary diagnosis overrides all else, very much including mental health? I know of a situation in which a student within the SNP had a diagnosis of schizophrenia but because there was no mental health care offered in his rural area, he was also diagnosed on the autism spectrum and he was placed with other young adults with Down syndrome, cerebral palsy, autism, etc., and was often agitated to extremes of self-harm and degradation. While this unfortunate scenario is extreme, it happens. Those living with mental illness are often misdiagnosed and/or misunderstood, leading to those very stigmas that are so damaging for those who suffer. Not all people living with Down syndrome are “so happy all the time.” Wrong! And those living with depression are not lazy or rude or selfish — they are suffering. Without proper diagnosis, help isn’t always helpful. Even less helpful are all the direct-to-consumer ads on television, promising that a little pill could make everything better. The United States is one of the only countries in the world that allows for direct-to-consumer advertisements while other nations have dictated such commercialism unhealthy. Instead of looking to a pill, we need to teach our families, counselors, educators, physicians, trainers and therapists to first learn more about the individual person, their lifestyle, backstory, family history and overall health. Speaking only about my students within the SNP, I have had far too many students so overmedicated because exhausted caregivers/family who do not want to deal with the high needs of a specific diagnosis that the loved one — the one suffering — is zombie-like. That person, already problematic to his family (most families within the SNP are financially worn), without any positive stimulation, activity, intellectual challenge or socialization, is forever muted by medication. What the world sees is a stoned, stumbling pathetic being. This, they say, is mental illness. In reality, science tells us otherwise. The link between mental illness and high intelligence is more than chance and this is something we need to celebrate, to continue to research, read and talk about. It was time to leave our little fishbowl on the college campus and go mainstream. What better place than the Main Street Gym, a thriving gym in Texas. The first day we walked in, a group of 35 young adults, some on walkers, with walking aids, in wheelchairs or irregular gaits, there was instant heightened curiosity. On the gym side, regular members were intrigue. Who was this group? My guys, as I came to think of them, were suddenly shy again. Eyes down, they were out of their element and all confidence was gone again. Show me a person who has been labeled and forever placed in a specific category or group and I will show you someone who has been stigmatized. Gone were the weeks of training, raising confidences and smiles. When they saw new people with strong bodies on treadmills and Ellipticals, lifting weight and rowing machines, they wanted to turn and leave. That was five years ago. Today, when we walk in, members smile. They know my guys. C walks in shooting people with his fingers and Q taps into his best Joey Tribbiani (“How you doin’?”) with every female he sees while A, I swear, lapses into John Travolta’s version of Saturday Night Feverif he so much as catches a glimpse of himself in a mirror. The greatest stigma regarding those who suffer from mental health (or within the SNP) is strength. Those who suffer from mental illnesses or are within the SNP are not considered “strong” in character or emotion or ability. Ohhhhh, how far from the truth this actually is. My mother and sister endured so much while suffering so considerably, but speaking of the SNP — imagine being trapped within your own body but hearing people speak about you in hurtful, derogatory language as though you can’t understand. Each day my guys see and disregard the stares, the looks, comments, even the well-meaning but degrading smiles. They see the pity, they see the fear or worry yet they carry on. They are warriors. They are champions. It was here that I believed I could help them physically. Those in the SNP are living longer than ever before yet are unhealthier than ever before with obesity, diabetes, high blood pressure, etc, becoming secondary medical issues. Using the Occupational Therapy Department and more than 50 OT students, I conducted a two-year study on the abilities of each participant which analyzed balance, strength, agility, core and stability. Our training program involved hitting a target so we could measure extension and movement as well as balance. The target, a now patented polycarbonate paper with designs to allow them to follow patterns and test them cognitively (learning “left” from “right” or phone numbers or number sequences), makes a loud “pop!” noise that also empowers them. This same group that became so shy when walking into the gym — a population that has been taught to be quiet in public, not make a scene, disappear from judgement — was suddenly very loud and VERY EMBOLDENED by their own strength. By empowering them to believe they are strong (and they are! ), that they can do things, that they do belong in a mainstream gym, that they can work out with everyone else, high-five, chit chat, and joke with other general population members was far more extraordinary than watching the severely disfigured J perform a plank. As we changed their own mindsets, they each changed exponentially. It was a beautiful, beautiful, beautiful thing to watch. Finally, today, I am hoping to turn our patented product into something we can sell online and have my guys work for the business, each boxing up and labeling every package for mail. My goal is for them to know that they are valuable members of our society who can and should work with pay. Why? …because they can. Most Americans do not realize that at the age of 21, the SNP “age out” of school. From the moment they graduate from the high school with a certificate of completion, everything goes away — the schedules, the bus ride to school, the build-in support system and friends. At 21 years of age, after a lifetime of being in the school system, they are alone. With the costs of caregiving, many are left to sit on a couch with nothing to do and nowhere to go. Depression, anxiety, anger, fear, even violent outbursts increase. As active as I am, I cannot fathom sitting alone for the rest of my life with nothing to do. That we could allow so many within our society wither away like this is unconscionable. The thread to a greater society is so easy to follow and can start with our very own special needs population. The cost of healthcare and insurance is rising as this population becomes unhealthier. Families cannot bear the costs and all are so negatively affected. If we can lower the costs of health care — i.e., make them healthier; if we can help them become happier, more productive members of society who can work and give back; if we can educate ourselves about their needs and the needs of others who suffer from mental illnesses and developmental issues, we ALL win. The World Health Organization reported that we must mainstream our special needs populations if we hope to elicit change. Thus far, the mainstreaming has been minimal, at best. It has been my experience (and part of the study) that without that mainstreaming, the stigma of special needs/mental health/mental illness/intellectual disabilities will not change. In my world, I aim to begin with the fitness industry. In fitness “special populations” means geriatrics and pregnancy, high blood pressure and obesity. This is, for lack of better terminology, bull crap. What happens, then, is that the TRUE special populations with very specific needs goes ignored — again. They have no — again. They get to continue to sit on their couches with nothing to do and no where to go with no one offering a job or any form of hope. We have to change language. We have to change perception. We have to educate people about how “strong” people who live with debilitating issues are and work with them to tap into that strength for more positive outcomes rather than ignore or belittle. On behalf of the SNP, with new fitness programs that show how strong they are, empower them and draw others in, it is a win/win for us all. I write but there is one rule: only write positive things. Just as training is designed to build, so, too, are your words. I will be out and about when something really funny might occur and my first thought is, I have to write this down! You can literally train your brain to focus and hold on to the funnier, lighter things in life when you do this. I’ve been journaling for over 20 years. I am what I eat. I focus on healthful, long-term nutritional foods. Yeah, yeah … I indulge (as everyone should) but my habits are healthy and positive. I am how I train. I am focused. I am positive. My training has purpose. I am social. I feed off of people and their energy and, I hope, visa versa. I volunteer. The single best and greatest moments I’ve had come from my work in giving to others. Like most people, I can be critical of myself. I wish I were … [fill in the blank] One day while I was working with my guys, a student who is barely functional turned and said to me, “When I get to heaven, I hope I get your body.” There’s that moment, you know … Gawd. Here I am wishing I was 15 lbs lighter, wishing I was 15 years younger and this 22-year-old is hoping to have my body when he “goes to heaven.” Speechless, trying to choose my words to give him back something positive, he went on to say, “You’re so strong. I wish I could do what you do.” We forget — each of us — how awesome we are. When we give back, we can be reminded in the most surprising ways. And, yeah, I pretty much needed to leave the room for a moment to pull myself together. Be fun! This is a biggie. I am always looking for fun things to do and drag as many people along as possible. Recently, I was making a video about things that annoy most people (for the punching target). In the gym, I approaches several people to say, “okay, I need for you to just keep jogging on your treadmill but you [pointing to other person] need to be super annoying and sing or talk on the top of your lungs while you [pointing to first person] look annoyed. Okay, ready?” Without question, they did it. I had a few more set-ups similar to that until, at last, I was outside the gym. The gym owner had been carrying in a case of water. I said, “Perfect!” and took the case from him, plopped it into the hands of a gym member walking out and instructed her to walk as though she were going into the gym while the gym owner, a few feet ahead, rudely drops the door on her. “Ready?” For the first time, the member, still struggling with her case of water, said, “Wait. Why are we doing this,” and the owner looked at her and said, “Just do it. We don’t have a choice.” Positive energy creates positive energy … a very few questions! As an instructor at Tarleton State University, I am always researching new studies on mental health and wellness, special needs, functional movement and more. The world is ever changing as is research and new findings!